Rich Furtado took this great 29-inch 6x5 mule deer while hunting during the 2000 Nevada deer season with Western Wildlife Adventures. 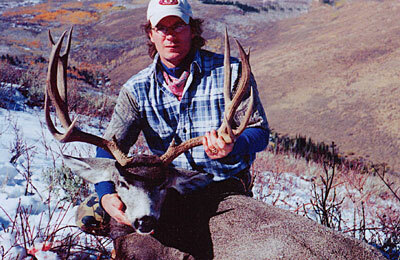 If you are interested in discussing the hunting opportunities with Western Wildlife Adventures, visit their web site at www. wildlifeadv.com.